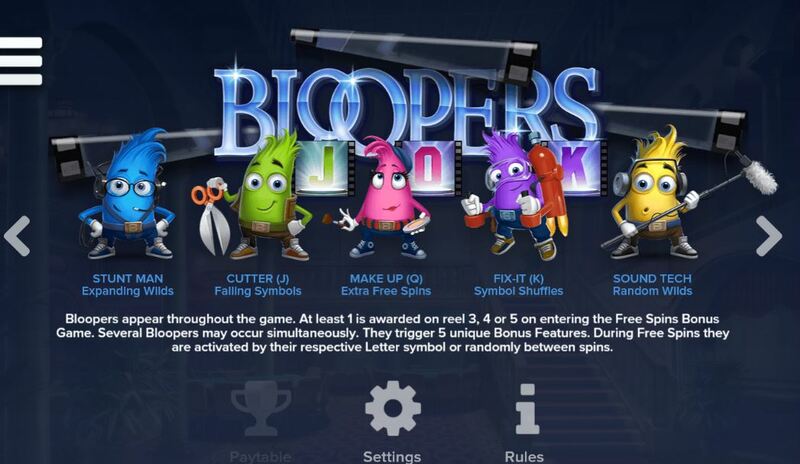 Bloopers slot is a 243 way game from Elk Studios and features symbols from the film industry, so presumably refers to mistakes referred to in the trade as ‘Bloopers’. 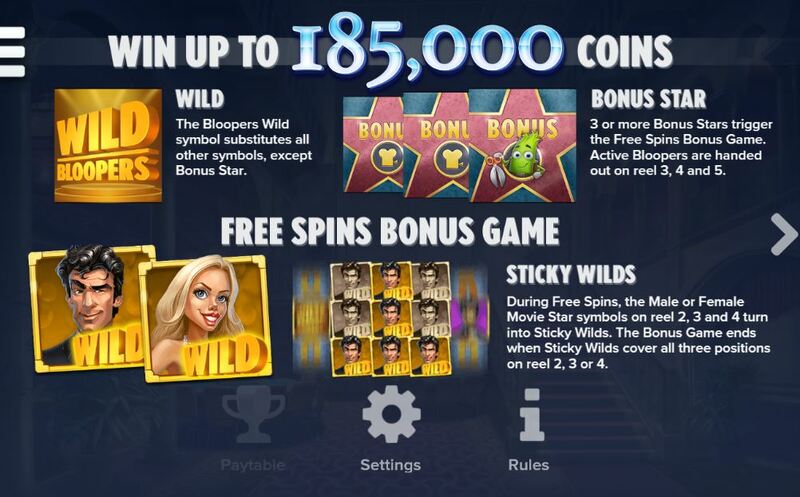 There are Bloopers Wilds on the centre reels and you can trigger free games with 3 or more Hollywood Star symbols. 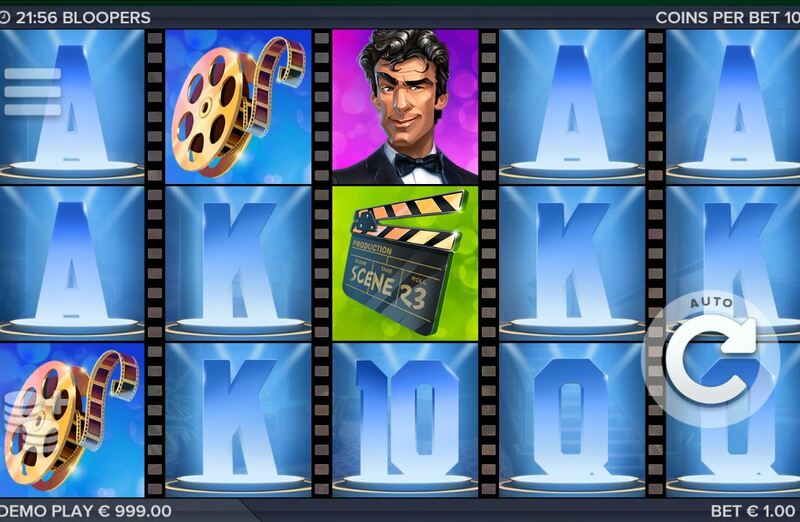 During the free games movie stars on reels 2, 3 and 4 become sticky Wilds and the bonus ends when any 1 of the 3 reels is full. As well as this you get Blooper characters appearing in the free spins on reels 3, 4 and 5 (like in the base game) but this time you will have at least one added after the trigger and can land more via their reel symbols or even random additions between free spins. The Bloopers are Stunt Man which is an expanding Wild, Cutter which gives falling symbols, Make Up awards extra free spins, Fix It gives symbol shuffles and lastly Sound Technician will add some random Wilds. 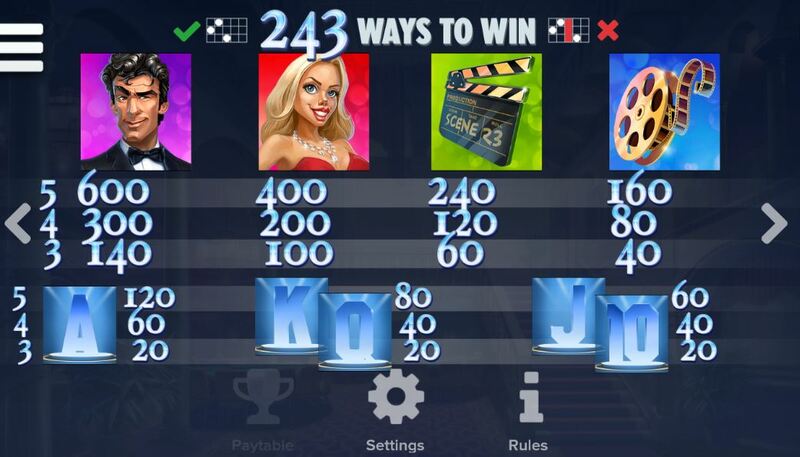 They occur more frequently in the free spins bonus. RTP is 96.10%.